Google's incredibly futuristic, and potentially life-changing, smart contact lens has taken a step towards breaking out of the concept stage after a patent was awarded that seemingly paves the way for the device becoming a real-life product. The patent itself is full of medical jargon, way above the heads of even the most beautiful minds here at Wareable, but WebProNews is reporting that the application, first filed in September 2012, has been approved by the powers that be. 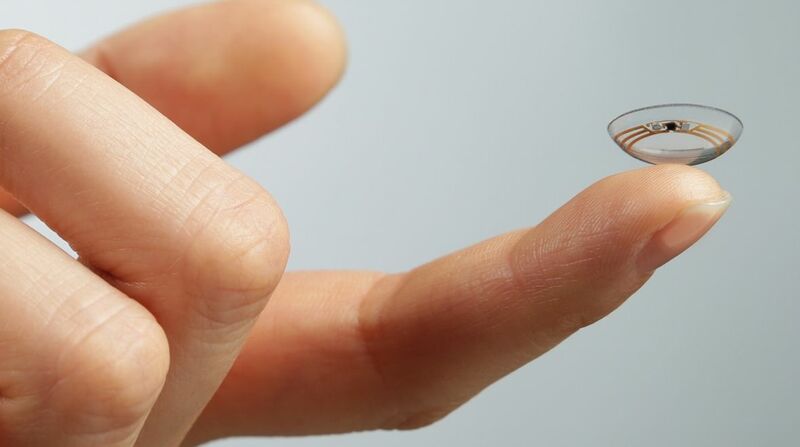 Google's clever contact lens is just a prototype for now, but it could eventually save lives. It uses miniature sensors and radio antenna thinner than a human hair to track a wearer's blood glucose levels. It could be especially useful for diabetics, as, using an app on their smartphones, they could monitor their glucose levels in real time, making sure that they don't drop below a certain level. Google struck a deal with drug maker Novartis in July 2014 to help make the lens. "We are looking forward to working with Google to bring together their advanced technology and our extensive knowledge of biology to meet unmet medical needs," said Novartis CEO Joseph Jimenez at the time. "This is a key step for us to go beyond the confines of traditional disease management, starting with the eye." Back in October we told you how Google X, the spin-off lab responsible for the lens concept, as well as projects like the self driving car and Google Glass, is also working on a wearable device that could detect cancer. Google's head of life sciences, Andrew Conrad, detailed a wearable band that worked alongside a pill that the wearer swallows; a pill containing magnetised antibodies that could attach themselves to any cancerous cells and alert the wearable device. "Think of it as sort of like a mini self-driving car," Conrad said. "We can make it park where we want it to. We're passionate about switching from reactive to proactive and we're trying to provide the tools that make that feasible." And you thought Google was only there to help you find cupcake recipes.